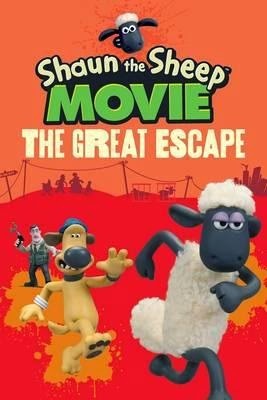 Here’s another brilliantly funny story about Shaun the Sheep, leader of the flock at Mossy Bottom Farm released simultaneously with Shear Madness. One of Shaun’s brilliant ideas finds him in the Animal Containment Centre. It is the area where Trumper, the city’s animal warden locks away all the strays. It houses tough, crazy and creepy animals. There are also the quiet and lonely creatures who long for a home. No captive has ever escaped. Their only exit from this environment is through adoption. But how did Shaun end up there? It was on the day that Shaun had convinced the flock to take a day off. After putting the farmer to sleep with his clever manoeuvring, Shaun and the sheep started partying. Messy and dangerous methods were used as entertainment and for food preparation. When Bitzer is taken to his master’s caravan by Shaun, he tries to wake him. A series of unfortunate events occur. The caravan rolls downhill and crashes to a stop against a pole. This causes a lamp to drop on his head and, dizzy from the incident, the farmer is taken to hospital in an ambulance. This is similar to what happened in Shear Madness, but has a different beginning and an alternate ending. Bitzer goes to find his master. Dogs aren’t allowed in hospitals, so he hides in a laundry trolley, and is mistaken for a doctor until he sees a skeleton and goes for its bones. This leads to his capture by Trumper. Back at Mossy Bottom Farm the sheep are hungry. They travel incognito to the city to find the farmer. They too, experience a great adventure which includes restaurants, posh menus, burping and a great escape. But Shaun is trapped by the sleeve of his jumper which unravels and he is literally exposed for the sheep he is. Trumper adds another stray to his collection. How will Shaun and Bitzer escape from Trumper’s clutches? Are the sheep capable of any plan without their leader? The alternate end blends the two stories of the memory-deprived farmer with the hard-hearted Trumper to form an exciting and entertaining read. The highly expressive illustrations speak as fluently as the text. This series is for early readers and the sheep’s crazy adventures always provide laughter and fun. The world of Shaun the Sheep puts a smile on my face before anything even happens.